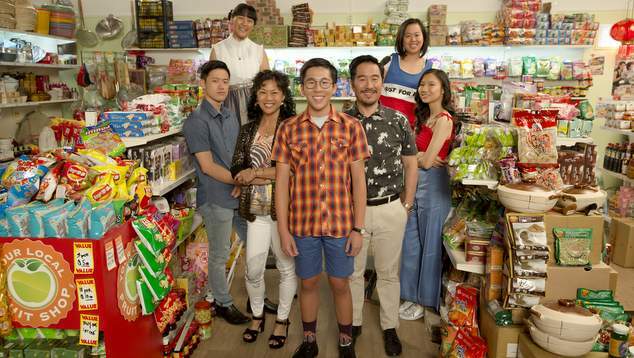 The SBS series The Family Law will be back on screens in January for its third and final season, and the show’s creators are promising it will continuing to break new ground as it explores Benjamin Law’s journey into adulthood. Everyone’s favourite Chinese-Australian family, The Laws, are back for one final spin, this time with added hormone-induced angst and awkward, sexual fumbling. The third and final season of the award-winning series returns with a double episode of The Family Law launching on Saturday, 12 January at 8.30pm on SBS and SBS VICELAND simultaneously. All six episodes of The Family Law season three will also drop on SBS On Demand that evening. So what can we expect from the new series based on the life of writer Benjamin Law? As Jenny dives headfirst into the giddy world of new romance, a mildly terrified Benjamin delves into the heady world of booze-drenched teen parties and unwanted sexual attraction, before finally facing up to some hard truths about himself and his sexuality. SBS Director of Television and Online Content Marshall Heald said the new season would be heartwarming. “I know an enormous amount of love and effort went into making the show be so beautiful and heart-warming. It’s also a real triumph for diversity on screen – under-represented faces and voices but defiantly Australian in every regard.” Heald said. Creator and co-writer Benjamin Law said he thought the new season was the funniest one yet. The Family Law complete season three will drop on SBS On Demand on Saturday, 12 January at 8.30pm in line with episode one and two launching on SBS VICELAND and SBS simultaneously. If you haven;t caught up with the show, seasons one and two will be available on SBS On Demand from Saturday, 29 December.